The Serene Stamper: Bomb's Away! 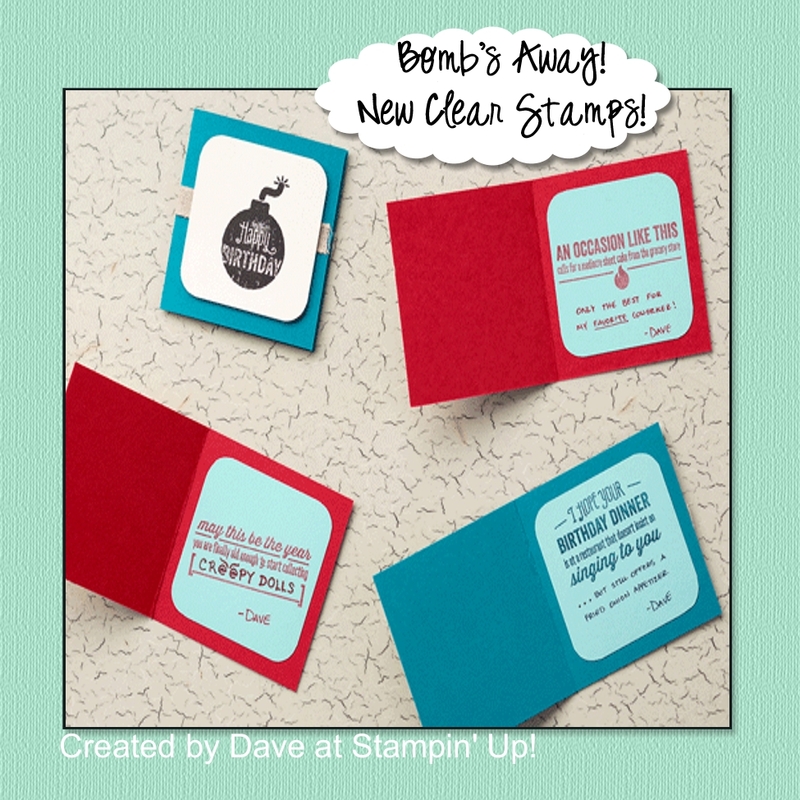 New Photopolymer Stamps from Stampin' Up! Bomb's Away! 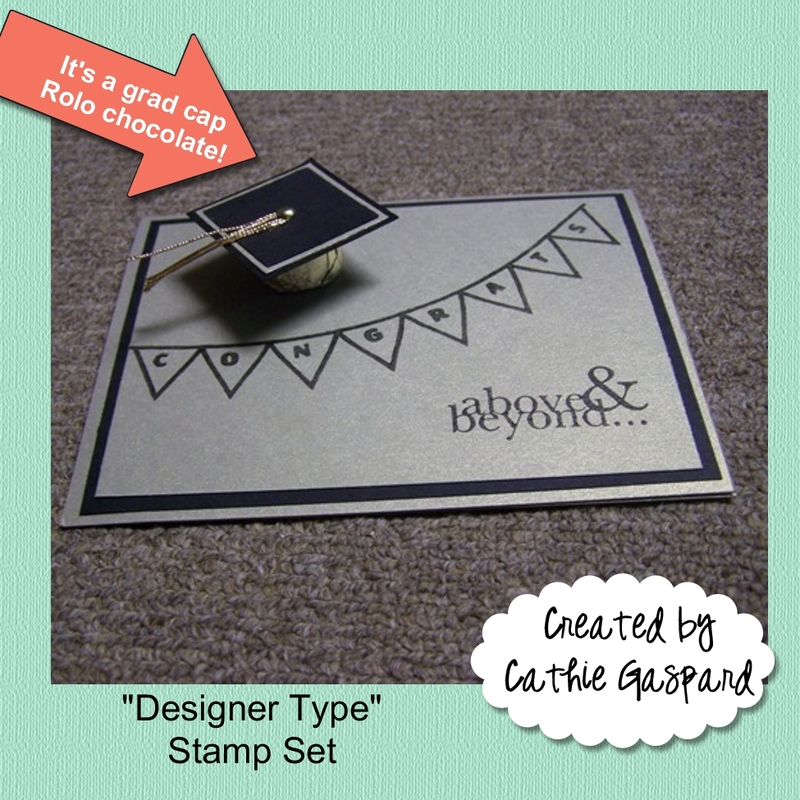 New Photopolymer Stamps from Stampin' Up! Stampin' Up! 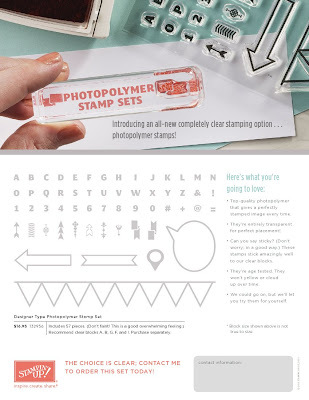 has just released it's second set of Photopolymer clear stamps and this set totally ROCKS - I can't wait to get it. OMG! I LOVE IT! LOL. 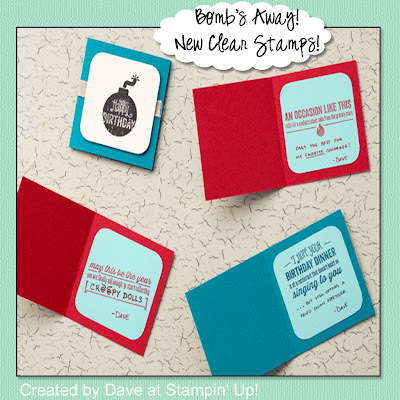 This fun project was created by Dave and you can read all about it and see some more samples on the Stampin' Up blog by clicking here: Bombs Away! (Now we're going to rush to Value Village to buy OLD cassette tapes, aren't we? See ya there! LOL) Oh yeah - and there's an iTunes gift card tucked inside the tape too. Coolieo! If you're like me and want to order this stamp set, you're going to need to click HERE. And in case you missed the first set of Photopolymer stamps, don't worry! 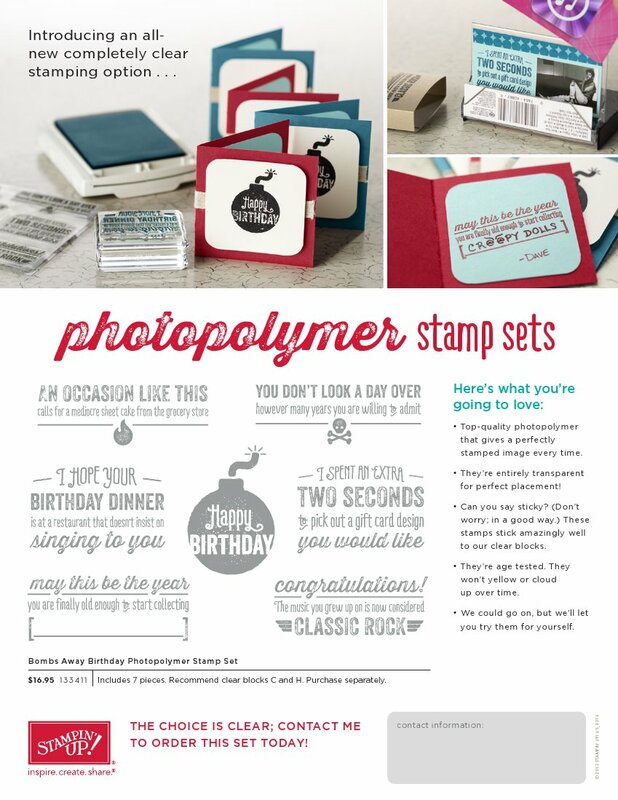 You can still get them! Designer Type stamp set perfect for scrapbook titles, journals, cards and anything else you want to personalize. Here are some wonderful samples from some of my fellow demonstrators that I'm sure will inspire you, because it sure did me! 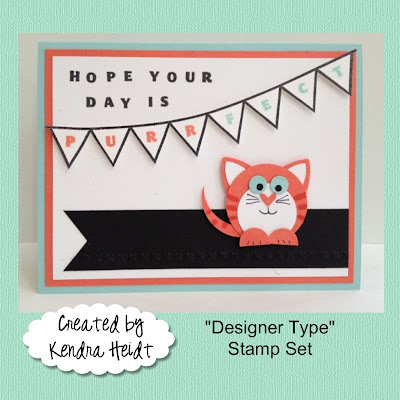 Tomorrow I'll have the tutorial for Double Embossing to share with you (see yesterday's post). 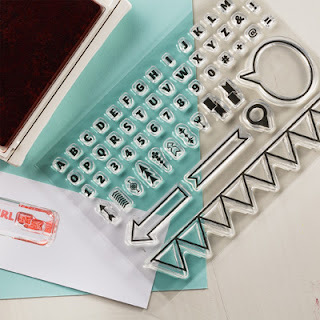 And if you haven't already subscribed for Paper Pumpkin, you've still got until midnight tonight to get this month's kit sent to you. Just go to My Paper Pumpkin to subscribe! 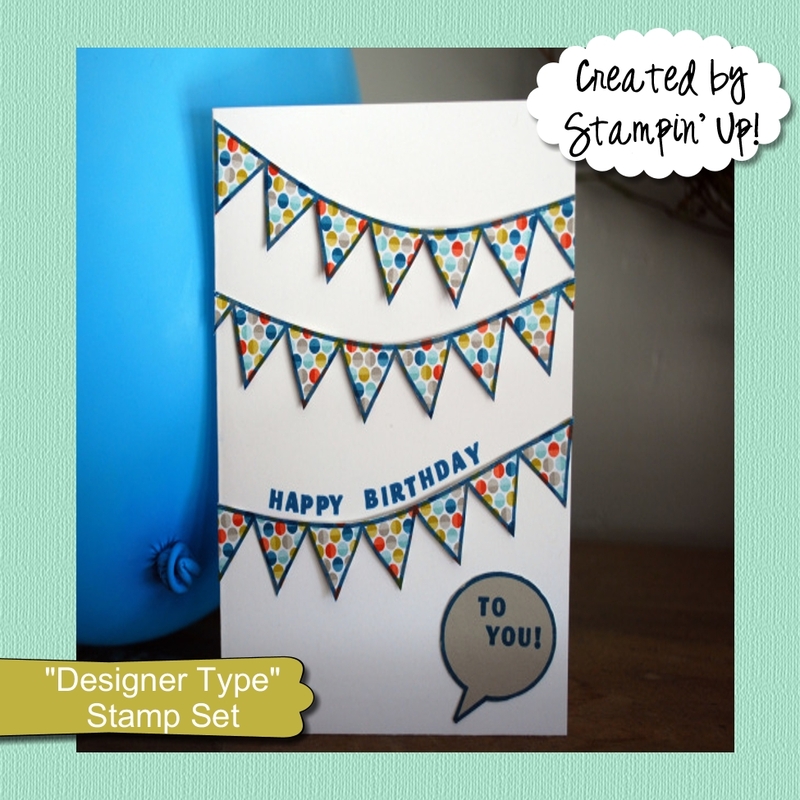 Please choose me as your demonstrator when you subscribe and I'll send you a fun Thank You gift!